Will Nano Needling Replace the Luxury Facial? “Welcome to Greenwich, CT, where the lawns and the women are perfectly manicured, the Tito’s and sodas are extra strong, and everyone has something to say about the infamous new neighbor. Let’s be clear: Emily Charlton, Miranda Priestly’s ex-assistant, does not do the suburbs. She’s working in Hollywood as an image consultant to the stars, but recently, Emily’s lost a few clients. She’s hopeless with social media. The new guard is nipping at her heels. She needs a big opportunity, and she needs it now. Karolina Hartwell is as A-list as they come. She’s the former face of L’Oréal. A mega-supermodel recognized the world over. And now, the gorgeous wife of the newly elected senator from New York, Graham, who also has his eye on the presidency. It’s all very Kennedy-esque, right down to the public philandering and Karolina’s arrest for a DUI—with a Suburban full of other people’s children. Miriam is the link between them. Until recently she was a partner at one of Manhattan’s most prestigious law firms. But when Miriam moves to Greenwich and takes time off to spend with her children, she never could have predicted that being stay-at-home mom in an uber-wealthy town could have more pitfalls than a stressful legal career. 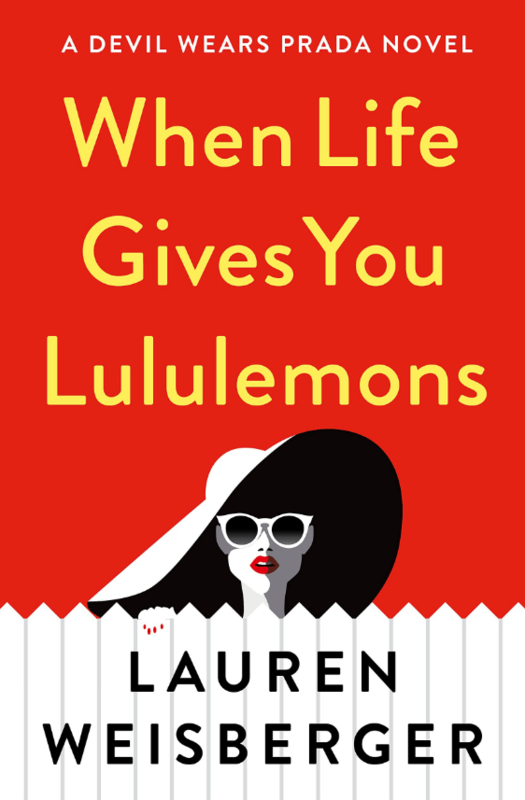 When Life Gives You Lululemons by Lauren Weisberger, $27, will be available June 5, 2018 on amazon.com. GET OUR HAUTEST STORIES DELIVERED TO YOUR INBOX! @2018 - Daily Front Row. All Right Reserved.